The Hohner Speedy is an ideal way to start learning harmonica. We include a Speedy in all our KS1 Starter Packs. The Speedy’s big advantage is its extra-wide hole spacing. For newcomers, this makes individual blow and draw notes much easier to locate. Speedy’s come in the key of C major, with the the scale of C mapped out on top. You can see the scale in the image above, together with a number for each hole, 1 to 4 (reading left to right). The up arrows on the map indicate the blow notes, while the down arrows indicate the draw notes. Once you can play the scale of C up and down fluently, your first tunes are a short step away. And with the eight melody notes of the major scale at your disposal, the list of tunes you can enjoy is virtually endless. Speedy’s come in a choice of pink, blue, yellow or black. Once the Speedy is mastered, it’s time to graduate to the 10 hole Airwave harmonica. The four holes of the Speedy are the same as the middle four holes of the Airwave, or a standard 10 hole harmonica such as a Silver Star. The Hohner Speedy is an entry level or budget instrument, designed to welcome newcomers to the magic of harmonica music. Speedy’s don’t last forever and can go out of tune or break if accidentally dropped or thrown. This is one reason why our KS1 starter packs also contain a 10 hole Suzuki Airwave. 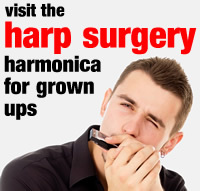 There will also come a time when every new harmonica player is ready to move up from 4 to 10 holes. 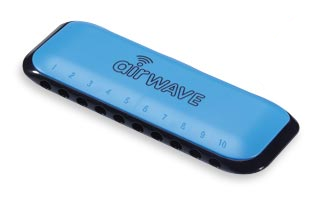 The Airwave continues the familiar concept of wider hole spacing, but adds additional note choices above and below the central C scale of the Speedy. If your Speedy goes out of tune for any reason, Your first step should be to visit our Maintaining Your Speedy page. There is a handy video to help you find your fix. If you still have problems, then drop us an email and we’ll see if we can help. When all else fails, it may be time to invest in a new Speedy or move up to a 10 hole Suzuki Airwave.